If you’re writing a speculative fiction story, creating a compelling setting can often be equally as important to the characters that populate your world. Whether you’ve already got the bare bones of your fictional setting laid out or need help fleshing out an idea into an intriguing locale, you can use these resources to guide you through every step of creating your fantasy world. World Builders is a free online course on worldbuilding for creating a non-Earth planetary setting. This guide will walk you through creating a geologically/biologically sound world, beginning with the star your planet revolves around all the way to how the flora and fauna in your fictional ecosystems interact. Though probably more useful to science-fiction authors, this course could also come in handy to fantasy writers for thinking through the plausibility of your world. If you’re more interested in creating a fictional culture than building a planet, give The Planet Construction Kit by Mark Rosenfelder a read. Although this book does contain chapters that build upon the biology/geology of your setting, I found that the meat of this guide lies in helping you flesh out the culture of the inhabitants of your fictional world and suggestions for incorporating these details into your storytelling. Once you’ve gotten a lot of the logistics for your world worked out, the book suggests a helpful exercise – write a brief description of the life of a typical inhabitant from birth to death. This guide also provides tips on creating visual representations of your fictional lands from 2D mapping to 3D software. The culture tests on Zompist.com, created by the author of The Planet Construction Kit, can help you to define the common beliefs and values of your fictional people. Creating a culture test for your world paints an image of what life in your setting would be like on a day-to-day basis – for example, which beliefs they would take for granted as common knowledge in their culture. If you look under the “Conworlds” section of the page, you can find examples of culture tests for other people’s constructed worlds that can serve as a launching point for creating your own. Once you’ve developed a solid setting foundation, constructed its inhabitants, and thought through your fictional culture, you’ll probably want to create a map of your world. ProFantasy has a large library of mapmaking software, allowing you to create realistic maps of your worlds. I’m a particularly huge fan of their Fractal Terrains software, a tool to create a global representation of your world and view its climate, elevation, and temperature, as well as export images of your map to use elsewhere. 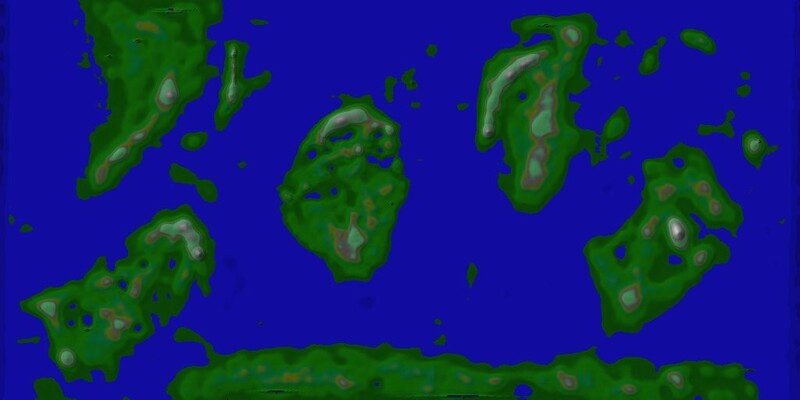 The map above is an example of a world I made using Fractal Terrains. ProFantasy also has software to create overlays and labels for your maps, design layouts for your structures, and position your space-faring civilization among the stars to help you share your setting with the world. Constructing a language, also known as “conlanging,” is a cool way to bring your fantasy or science-fiction setting to life. Though creating a language can seem tricky, these resources will guide you through the process of language creation from beginning to end. These guides are handy whether you’re seeking only words and brief phrases to sprinkle throughout a story or want to create a full language to use in your fantasy world. All of the resources included in this post helped me create Unjulean, a language spoken by the peoples on the planet Unju in a science-fiction/fantasy story I wrote in my teens. 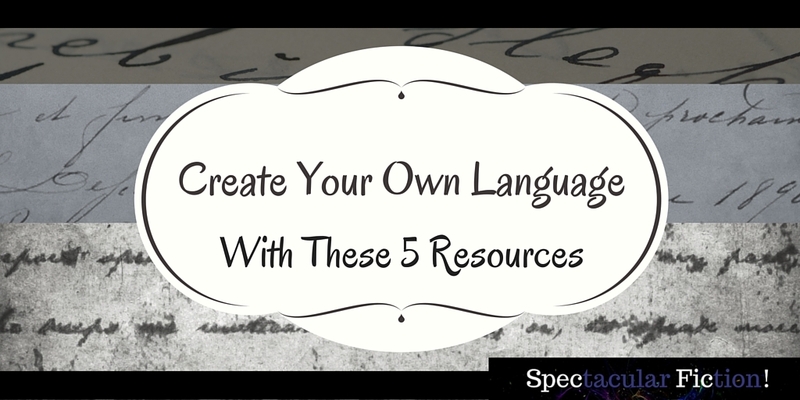 Check out these resources in the language creation blog post. The Trove, a curated directory of writing resources for fantasy, science-fiction, and horror authors. 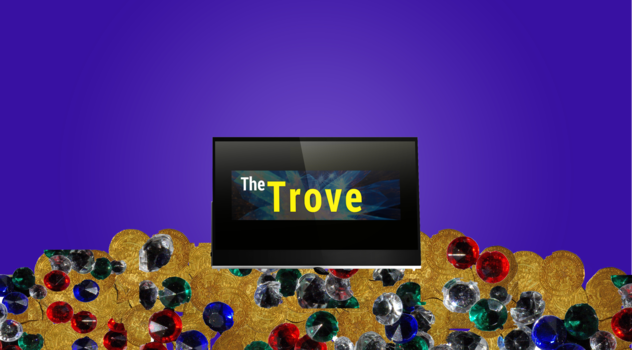 The Trove is a directory of writing resources for fantasy, science-fiction, and horror authors curated by yours truly, with categories on worldbuilding, fantasy tips, science fiction resources and more. Explore to discover new guides and tools for creating worlds in your genre. What resources do you recommend for creating your fantasy world?